Azerbaijan is an oil and gas rich country located on the western shore of the Caspian Sea. The country's population, numbering over 8 million, is majority-Turkic and majority-Shia Muslim. Azerbaijan was briefly independent (from 1918 to 1920) after the collapse of the Russian Empire; it was later integrated into the Soviet Union for 7 decades. Large oil export revenues have paid for infrastructure projects and improved living standards. The poverty rate has been decreased and infrastructure investment has grown substantially in recent years due to revenue from oil and gas production. The World Bank named the country as one of the world's fastest reforming nations in its 2009 "Doing Business" report. Azerbaijan is ranked number five on the Bisignis Institute's Emerging Market Energy Security Growth Prosperity Index®. Azerbaijan has yet to fix its dispute with Armenia over Nagorno-Karabakh, a mostly Armenian-populated area that Moscow acknowledged in 1923 as an independent region inside Soviet Azerbaijan after Armenia and Azerbaijan disputed the status of the region. Armenia and Azerbaijan started fighting over the area in 1988; the battle intensified after both nations achieved independence from the Soviet Union in 1991. By May 1994, when a cease-fire took hold, ethnic Armenian troops held not only Nagorno-Karabakh but also seven bordering provinces in the territory of Azerbaijan. Azerbaijan became a member of the Council of Europe in 2001. In October 2011, Azerbaijan was awarded one of the six non-permanent seats on the U.N. Security Council. From January 2012, Azerbaijan will sit together with permanent members of the Security Council (France, China, Russia, the U.K. and the U.S.) for a duration of 2 years. The United States established diplomatic relations with Azerbaijan in 1992, after its independence from the Soviet Union. The U.S. and Azerbaijan have a bilateral trade agreement and a bilateral investment treaty. Azerbaijan experienced strong economic growth from 2006 to 2010. The growth was credited to sizable and growing oil and gas exports, but some non-export industries also had double-digit growth, including construction, banking, and real estate. In recent years, Azerbaijan has tried to diversify its economy and minimize its dependence on its natural resources. Economic growth reached double digit figures between 2006 and 2008 before sliding back to 3.7 % in 2010. In 2012, economic growth increased to to 3.8 %. Continued production decreases in the oil sector were offset by strong growth in the non-oil sector. The non-oil sector growth may be driven primarily by government investment, which may not be sustainable if oil production continues to decline. Oil exports through the Baku-Tbilisi-Ceyhan Pipeline, the Baku-Novorossiysk, and the Baku-Supsa pipelines continue to be the primary economic driver, but efforts to raise Azerbaijan's gas production are in progress. The eventual conclusion of the geopolitically important Southern Gas Corridor between Azerbaijan and Europe will create another, albeit, scaled-down source of income from energy exports. In 1994, Azerbaijan endorsed an oil contract worth $7.4 bn with a Western consortium. Ever since, Western companies have invested millions of dollars in the development of the country's oil and gas reserves. The economy as a whole has not benefited as much as it might have otherwise done. Trade with Russia and the other former Soviet republics is decreasing in importance, while trade is developing with Turkey and the countries in Europe. Long-term prospects depend on world oil costs, Azerbaijan's ability to negotiate export routes for its expanding gas production, and its ability to use its energy riches to promote growth and stimulate employment in non-energy sectors of the economy. U.S. firms are involved in offshore oil development projects with Azerbaijan and are looking into emerging investment prospects in Azerbaijan in telecommunications and other industries. Azerbaijan has been designated as a beneficiary nation under the Generalized System of Preferences (GSP) program, under which a variety of goods that Azerbaijan might seek to export are eligible for duty-free access to the United States. The GSP program gives an incentive for investors to go to Azerbaijan and export certain products duty-free to the U.S. market. President Ilham Aliyev came to office in 2003, succeeding his father Heydar, and was re-elected in 2008 and in 2013. Roughly one-fourth of the country's residents live in the capital, Baku, a cosmopolitan urban hub that combines ultra-modern skyscrapers with a historic Walled City that is recognized by UNESCO as a World Heritage Site. 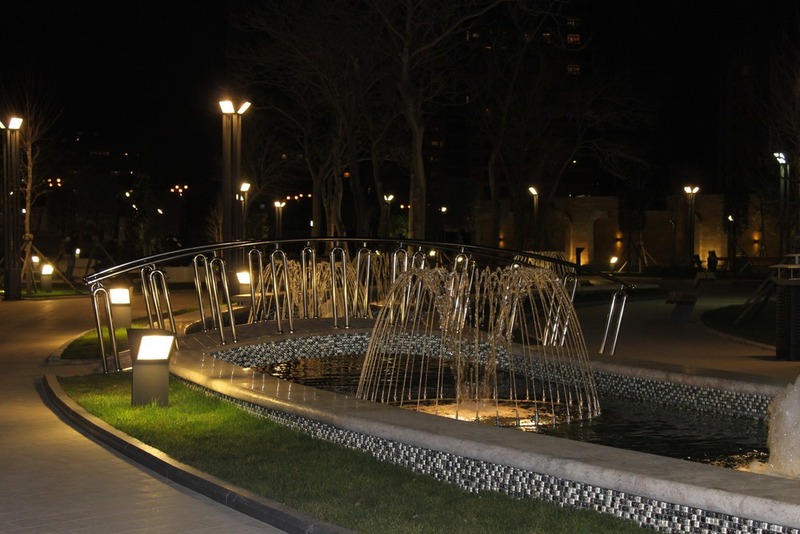 Culturally, Azerbaijan has also looked to raise its profile internationally. In 2011, the country won the Eurovision Song Contest, a continent-wide musical competition. Due to this success, Azerbaijan will host the next Eurovision contest which has been slated to occur in Baku in May, 2012. The national sport of Azerbaijan is chess.